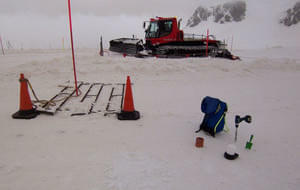 Our ski piste grooming system using injection bars for Alpine winter sport ski pistes and used successfully for many years. 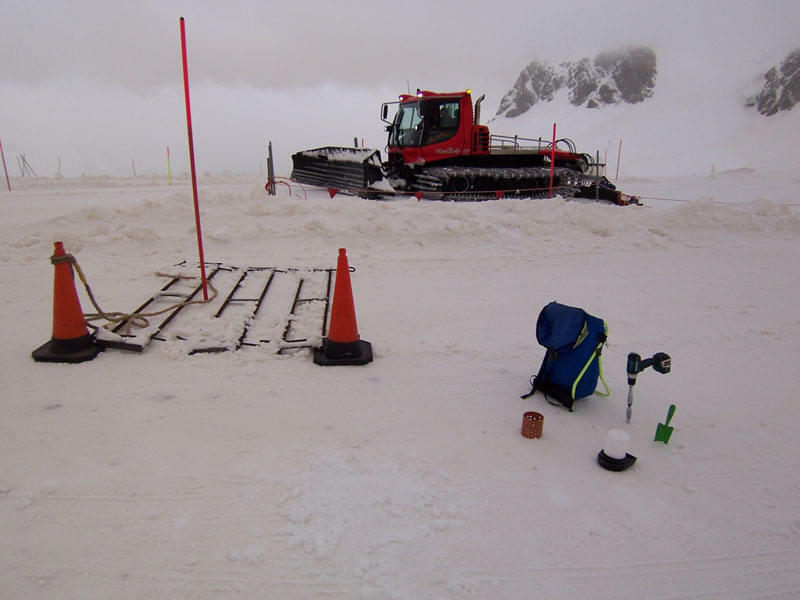 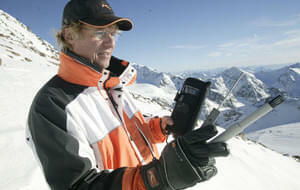 This combined instrument is equally valuable to service personnel and snow machine operators alike. 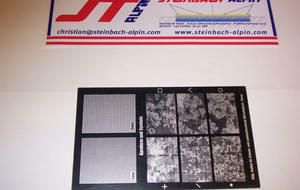 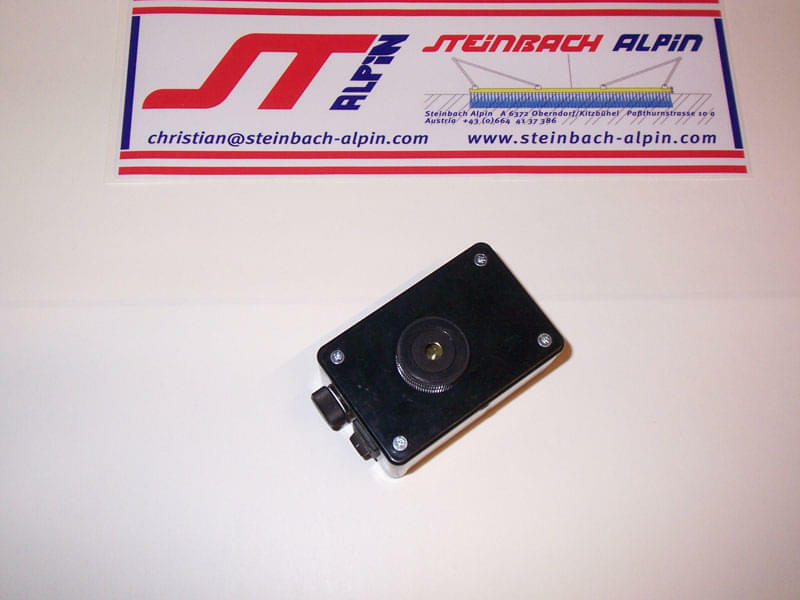 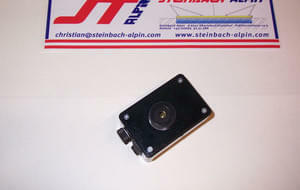 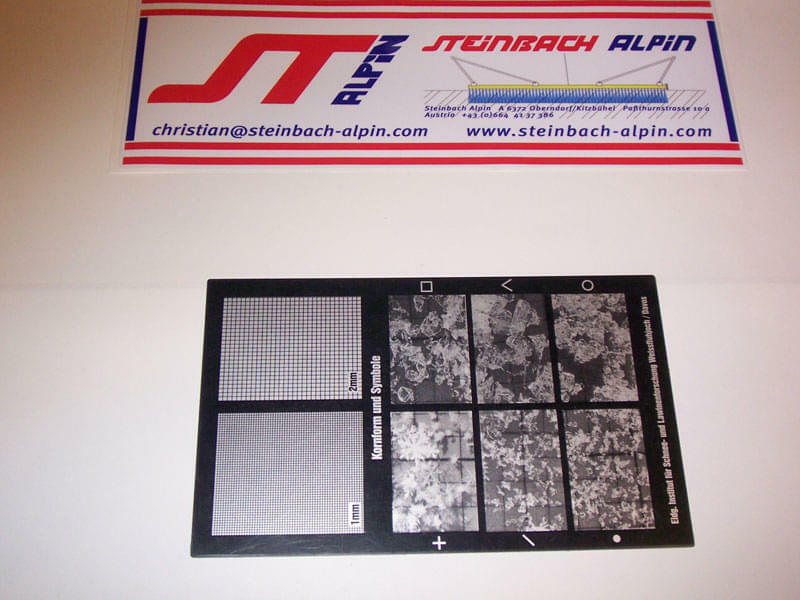 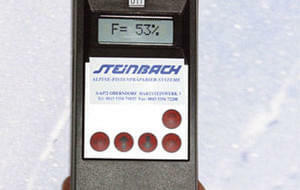 Measurement tolerance is +/- 2% and is equipped with a highly sensitive sensor. 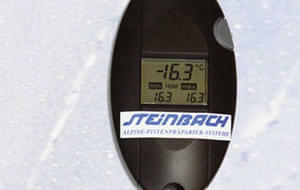 A contactless infrared temperature gauge may be supplied, if desired. 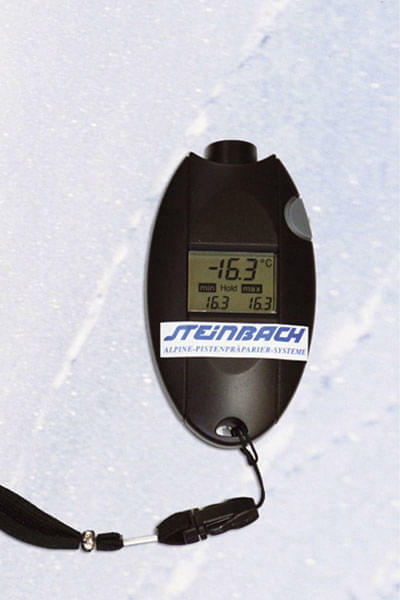 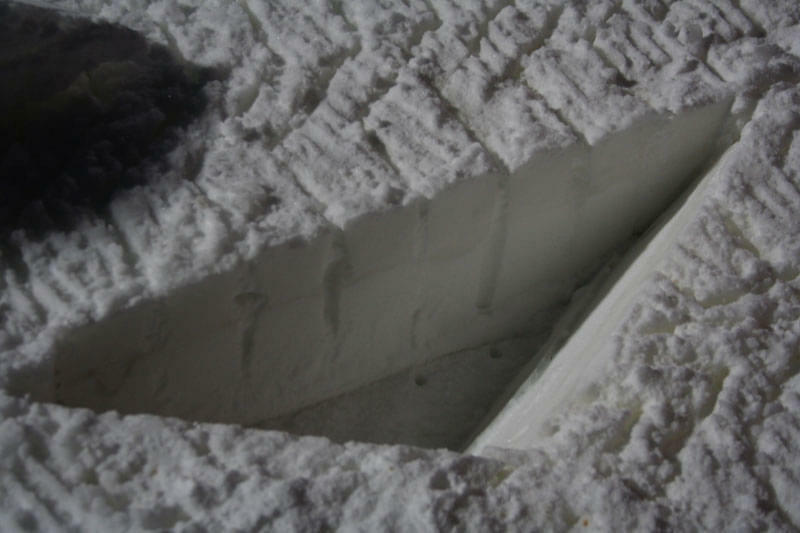 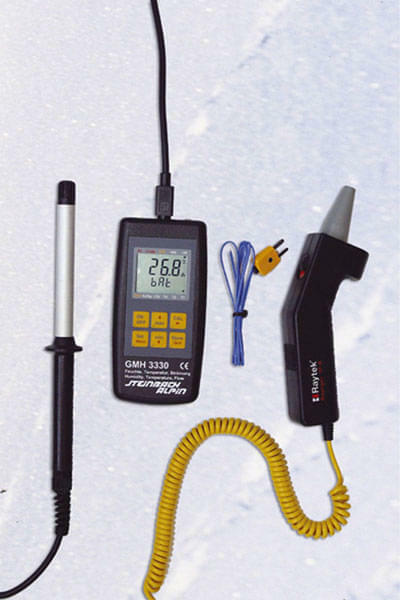 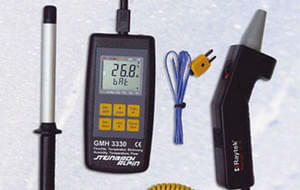 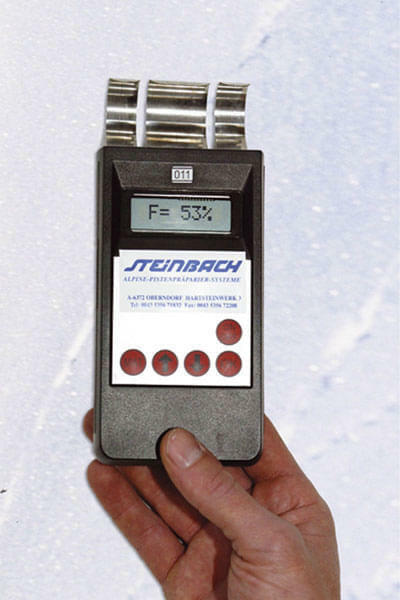 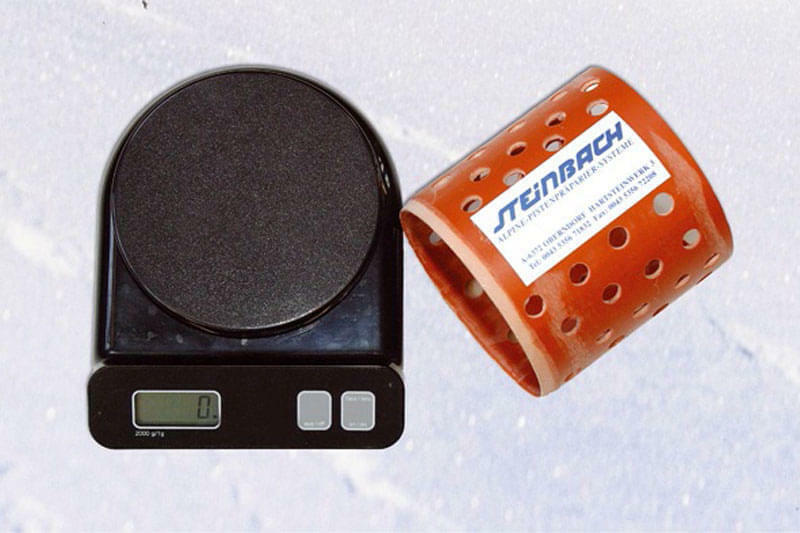 The snow humidity measuring instrument determines snow humidity via the capacitve resistance of snow crystals. 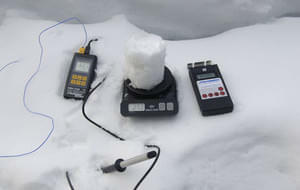 The ground covered by snow serves as the dielectric. 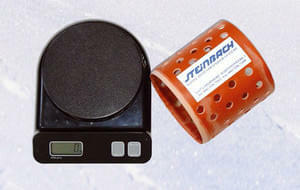 A weighing instrument provides she specific weight per m³ directly.